The European Union Election Observation Mission(EU EOM) says the final peace accord signed by the presidential candidates ahead of the 2019 presidential election is a very strong message to Nigerians. Maria Arena, Chief Observer, EU EOM, spoke with State House Correspondents, on Thursday in Abuja, after she led the mission to a private meeting with Vice President Yemi Osinabjo. She said that the participation of the two front runners at the peace accord was significant. 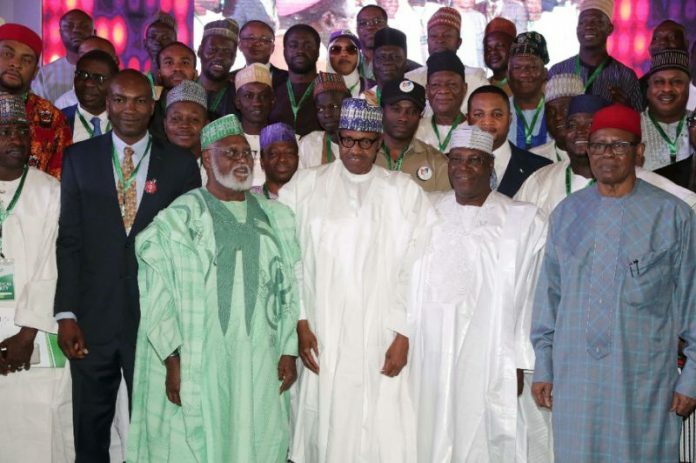 The duo of President Muhammadu Buhari, presidential candidate of All Progressives Congress(APC) and Alhaji Atiku Abubakar, presidential candidate of Peoples Democratic Party(PDP) alongside 70 other candidates signed the final peace accord on Wednesday. According to Arena, EU EOM is in Nigeria to monitor the process before, during and after the Election Day, Feb. 16. “The different contact we had with public organisations here in Nigeria and also with the authority gave us information on the election process. “We have a discussion today; first we say we have to congratulate Nigeria for signing the peace accord yesterday because it is a very strong message to the population. that all the political parties especially the two biggest presidential candidates took the commitment to have a peaceful process. “ We are here for this election and for Nigerians. It is important to have this strong message. “We have also discussed different issues on our observations, because Nigerians need to have a transparency process. “They need to trust the process; they need to be free to cast their votes during the election and this is just what we are going to observe as EU Observation Mission,’’ she said. Buhari, had, during the signing of the peace accord, appealed to his fellow presidential candidates to commit to the ideals of peace so as to keep Nigerians safe. He said the Independent National Electoral Commission (INEC) had already assured that it had done everything possible to ensure free and fair elections.